31-W Insulation offers attic insulation inspections, products, and installation services to homeowners in Jonesboro, and surrounding communities in Georgia. Since 1972, we’ve consistently delivered outstanding insulation services to residents across the Southeastern United States. Our experienced and courteous technicians work hard to install insulation quickly, efficiently, and to the exact specifications of all our customers. We will send a 31-W Insulation professional to your home to answer your questions and provide you with a no-obligation inspection of your attic to evaluate the condition of the existing insulation, making recommendations based on your budget and energy efficiency requirements. After you decide on the products that work best for you, we will send a team of highly trained technicians to install your new insulation. Most of the time, we can finish your job in as little as one day. You can expect that our technicians will be courteous professionals who will clean up any mess they make and leave you with nothing but new attic insulation that can help reduce your energy consumption and save on energy bills. 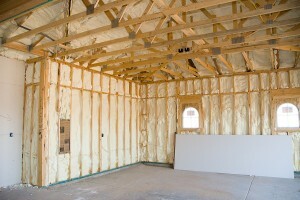 Additionally, after we install new insulation you may find yourself enjoying numerous other benefits, including a more comfortable home with fewer temperature swings, as well as a heating and air conditioning unit that may last longer because it won’t have to work as hard to keep your home at consistently pleasant temperatures. For more information about our exceptional attic insulation products and installation services, contact 31-W Insulation today.